With the exam season in full swing, Gareth Morewood explores the changes to assessment that SENCOs need to be aware of. A few weeks ago in SENCology we considered how important an inclusive curriculum is, and prior to that, access arrangements and GCSE exams. Over the last few months one thing that keeps coming to the surface is the debate about assessment and how inclusive it is. There has been so much change that as we enter exam season I feel it is useful to try and summarise some of the key issues SENCos need to know about assessment. Until recently I was quite uncertain about the changes in primary assessment, indeed many primary colleagues may feel the same! So I thought I’d take the opportunity of finding out a little more, especially with regard to what the incoming year 7 will have in September. I have picked up the following in discussions at events and when asking questions of primary colleagues. Reception assessment is very controversial. The new way of baselining children upon entry to school and the new primary progress measures were set by three approved providers of baseline assessment. However, the DfE has now abandoned this idea. Mainly, it would seem, because the three different assessments would not be comparable! The idea of ‘testing tots’ during their first half term was difficult enough for parents andcarers of students with specific disabilities and SEN, and this has been further complicated with issues around validity and reliability. Year 2 also saw big changes: new KS1 SATs with new SPAG and results as scaled scores (100 expected standard). The teacher assessment trumps the actual score but many questions remain as to how scores are standardised. In Year 6 there are again new KS2 SATs, similar to new GCSEs. These are harder and with more content – virtually everyone I have spoken to felt that the new timetables test would be more appropriately sat in Year 4 NOT Year 6 with the SATs. Year 7 will need to resist their KS2 assessment in December (after starting secondary school) should they not meet the required standard. Will assessment without levels mean more of a corporate responsibility for SEND? With Year 7 arriving with a scaled score, how does this inform the secondary settings? 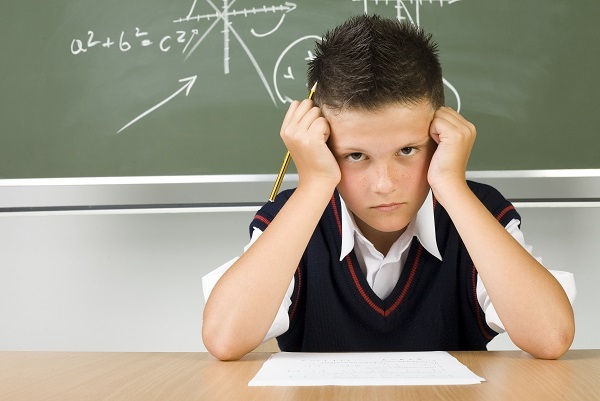 Are your pupils struggling with stress during the exam period? Discover strategies schools can put in place to limit stress through our Knowledge Centre and In-House Training resources. Chances are, as a SENCo, you would have been using levels to help parents/carers and young people understand how they are doing. For the last 18 months or so there has been a real momentum behind abandoning the security of levels and the idea of a life without levels. The DfE have produced a report from a working group on just that. Whilst I cannot doubt the collective wisdom of the group that conducted the report, or even perhaps the negativity associated with ‘levelling’ children at a fixed point, I am still very uneasy about how we develop new ways of assessing and reporting. For the last 15 years I have worked as a SENCo with the previous system and, for me, it was a useful tool to support provision for the young people with whom I work. It may well be that this reinforces the fact that ALL teachers are teachers of SEND and therefore the feedback and progress will much more clearly sit within subject specialists and class teachers. Even if that is the case, it doesn’t mean that we as SENCos don’t need to have a good understanding about the new systems. This would appear at odds with the DfE’s assertion that levels are not very good at helping parents and carers understand their child’s progress and that in their place “it will be for schools to decide how they assess pupils’ progress". It is going to be an interesting time ahead for sure. There appears to be a lot of differing opinion about Progress 8 and what it will actually mean for students in the next three years. Initially the feeling was that it would be beneficial for SEND students and an improvement on the ‘best 5’ GCSEs etc. However, I gather that there is now a lot more uncertainty. An excellent summary on the effects of the new GCSE grading and accountability systems gives us a more detailed analysis of the new assessment outputs to come and there’s a useful piece on why this new measure cannot be used as a school effectiveness tool. I think we as SENCos can be aware of the new systems and listen carefully to parents and carers and young people. In the end, students need to do the best they can whatever the grading system and perhaps at this time a more useful strategy would be to support the additional stress involved during this time of year. The biggest area for me I know I need to learn more about is the new GCSE exams. If it wasn’t enough that the applications for access arrangements and the use of assistive technology and exams is not extremely complex and time-consuming, there’s the added factor that with just 16 weeks to go, over half of the new exams are still not ready. I have already had some very interesting discussions with our deputy heads about the new numbers grades and several questions have been raised with parents and carers as well. I think this from AQA, which includes a short video summarising things, is helpful and you may also find Ofqual’s diagram useful too. As much as I’d love to provide some real conclusions and hard facts for SENCo colleagues, I feel as though that is simply not possible! We are very much in a time of ‘wait and see’ as things ‘settle’ over the next three years. Hopefully, however, this layman’s summary of some of the main points and associated reading will be useful as we start the summer term and students start sitting their exams! Good luck!